I’ve attached two jpgs of a quilt I made last year for our local quilt show. 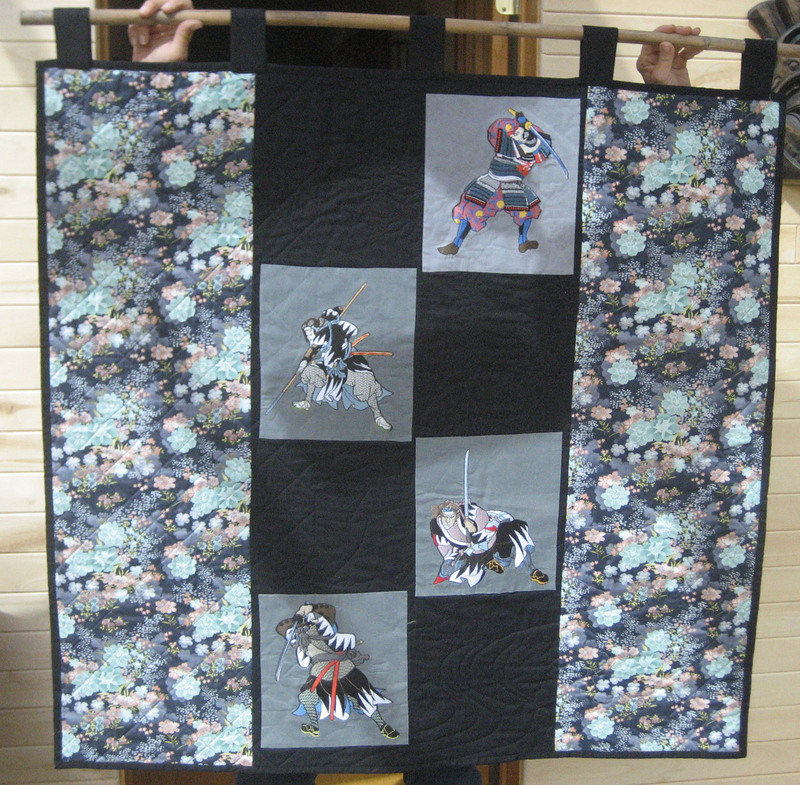 It contains a Geisha panel and six Geisha heads from your sets, and on the back is a set of larger Samurai warriors. It won second place in the wall hanging category! It hangs with a bamboo rod. I can really see why this quilt won a prize!